With far advance in cutting-edge IT technology, we should fully utilize this opportunity to deliver benefits to our population (Ummah). Based on this idea, I decided to establish a platform with fully supported by webpage facilities to render the agenda. The main aim of this centre is to empower the patients and their families on the knowledge of their psychiatric and social issues and treatment available. Second main target is to enhance a research ambiance related to psychiatry. Research has always been a hallmark for universities. To cultivate the concept “not just be the users of information but be the contributors and proactive key players in knowledge development”. Third objective is to entrench the idea of critical thinking among medical fraternity. MaHIR Centre will promote research culture and encourage research activities in area of psychiatry. Firstly I would like to express my gratitude to the most graceful and merciful the Almighty God Allah SWT for giving me the strength to materialize my aspiration to establish this webpage as part of the strategies to enhance the research. It is also as a platform for patients & families to source information in the field of psychiatry in both languages English and Bahasa Malaysia. Being research as my passion, this webpage hopefully will able to meet its objectives. Among those are to share information related to questinnaires and local publications database to any individuals who are interested in research. It is imperative to have good research environment in order to generate many researchers in this field. Apart from that, it will act as an avenue for patients to gather useful information related to mental health, to share their thoughts and as a platform to form the support groups and associations. The idea of setting up this effort first came in 2008 even before I join the International Islamic University Malaysia. As an academician, I found the first hurdle to initiate research is to find suitable scale and to find resourceful avenue of scales database. I strongly believe that as academicians, we shall not only be the consumers of the knowledge but should also be the providers to the pool of knowledge and information or at least to provide idea based on local / Malaysian perspective. First is to inculcate research interest among all academicians and mental health providers. Also to provide research facilities and ambiance for researchers eventually it will serve as one-stop centre mainly to cater for psychiatric aspect. Second, objective is to be an avenue for patients with mental disorders and their family to gain in-formative knowledge and experience about the disorders. It is also to promote them to have a forum and support groups. 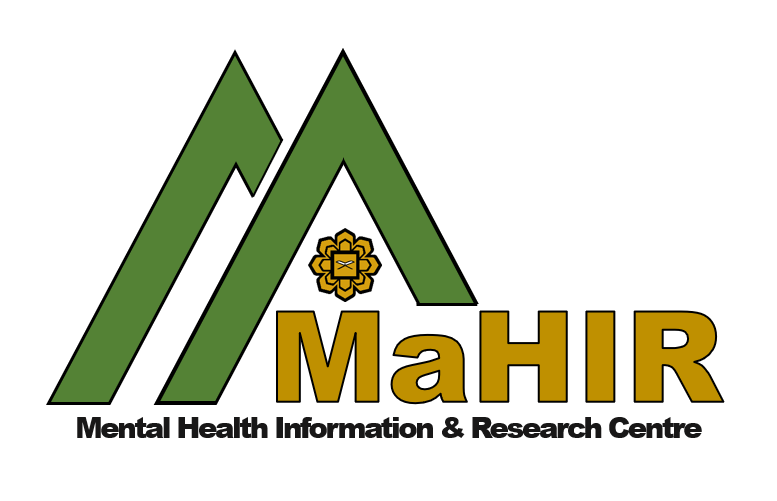 Here I welcome any feedbacks and constructive comments from patients and researchers to improve this MaHIR Centre webpage. I also welcome any form of collaborations from any parties to conduct research in any areas. Please feel free to contact for any helps you need. Semoga usaha yang sedikit ini mendapat manafaat buat masyarakat dan mendapat sedikit pahala dari Allah SWT untuk bekalan saya di akhirat. Waallahhualam..